Along with 1970s fashion, 1980s fashion was one of the most experimental periods in style history thanks to enduring style icons from Princess Diana to Madonna, Joan Collins to Boy George. Clothes were used to define personalities and make big statements. Shoulders were padded right up to your ears, courtesy of Lady Diana and the cast of Dynasty. Meanwhile Boy George and the Blitz club crew were giving peacock punk a whirl. No doubt about it, it was a crazy era for all things à la mode – the later 1990s fashion was significantly calmer by comparison. Let’s take a look back. Our beloved Madge burst onto the pop scene in 1983, working haute scrunchies, leathers and tutus like we’d never seen before. We fell in love (naturally) and the queen of pop reigned on for the rest of the decade, breaking style boundaries with her incredible physique and conical bras. 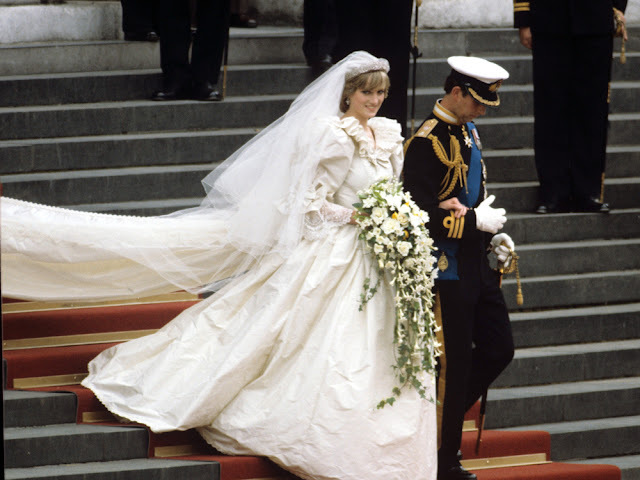 It would be silly of us to even try to sum up Princess Diana’s impact on fashion and culture in one short paragraph, but if we had to, we would say this: she was the trendsetter of a generation, a champion of the power shoulder and that super eighties wedding dress, which literally went down as one of the biggest in history. This jacket is exactly what 1980s fashion was all about. 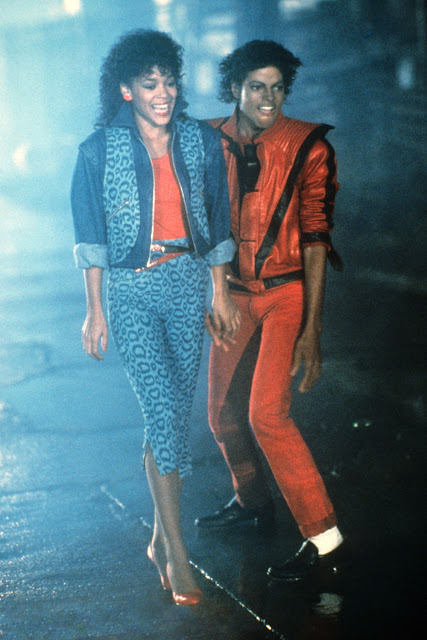 The power jacket became a Michael Jackson style signature and one of the most copied cuts of the decade. This iconic piece went on to sell for $1.8million at auction in 2011, described by its new owner as ‘the greatest piece of rock memorabilia ever’. Enough said. 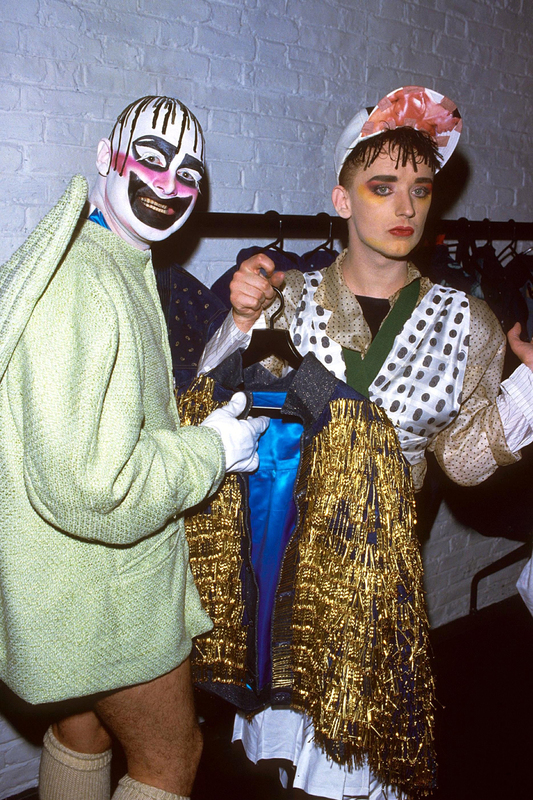 The leader of London’s peacock punks, Boy George saw 1980s fashion as art. With his gang of ‘Blitz kids’ including Leigh Bowery and Stephen Jones, he turned the club scene into a colourful catwalk, dressing up as though their lives depended on it and partying so hard that it made headlines. The only styling rule for this lot? Anything goes. Ahhh Joan Collins. The queen of 80s TV show Dynasty inspired thousands of big hair ‘dos and heavy make-up statements throughout the decade. 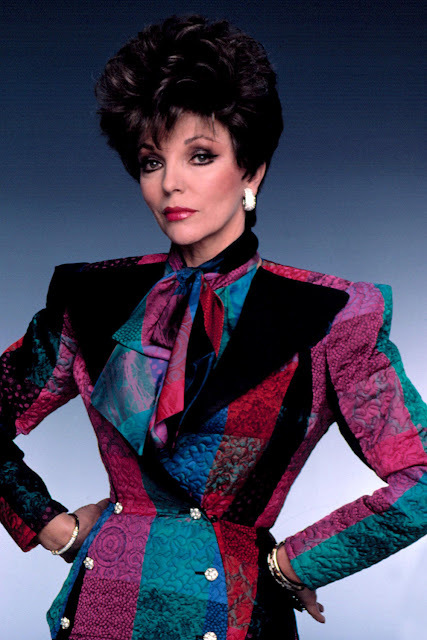 Her character, the soap’s villain Alexis Colby, had a wardrobe of puff shoulder dresses and trophy jackets that was so bad, it was so so good. 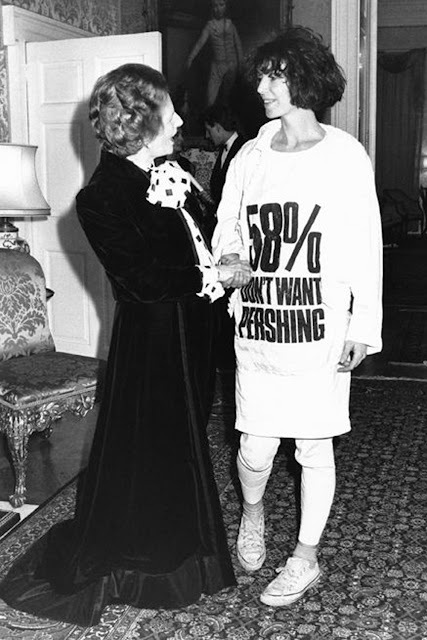 If 1980s fashion was all about making style statements, then no one did it more literally than designer Katharine Hamnett. The inventor of the slogan tee, she used her design powers for good, conveying oh so subtle political messages and encouraging people to use their voices. We couldn’t do an ode to 1980s fashion without mentioning the original queen of keep fit, Jane Fonda. First making waves in the style stakes and shaping 1960s fashion for her role in Barbarella, the award-winning actress was the first major star to do an exercise video. 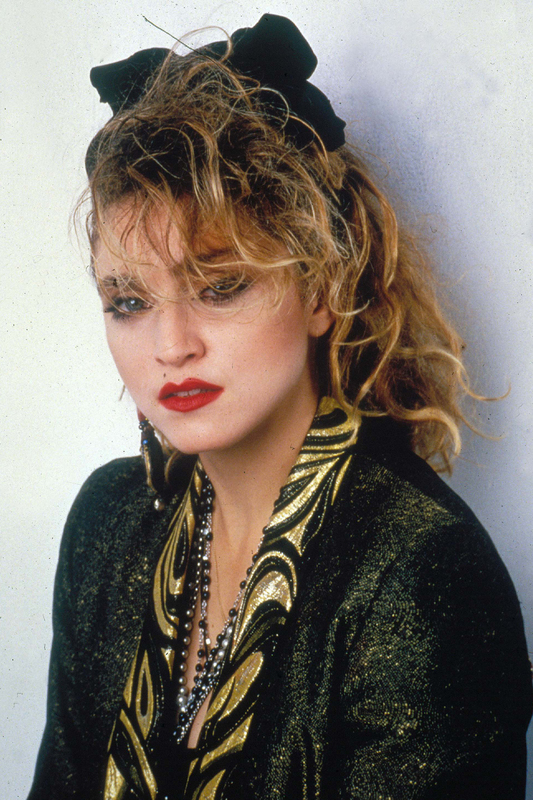 She made leg-warmers and Lycra as important to the decade as the power shoulders were. The hair bows, the pedal pushers, the slogan tees! This 1986 snap of Bananarama, aka Sara Dallin, Siobhan Fahey and Keren Woodward, was everything our school disco dreams were made of. 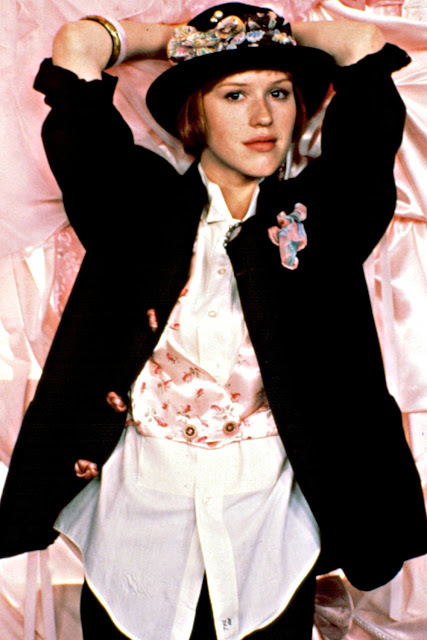 From The Breakfast Club to Pretty In Pink, the Brat Pack dominated the decade’s teen movies, with one idol always stealing the show as the prettiest, most popular girl in school. Oh come on, don’t pretend you didn’t want to be her. New Romantic style and guyliner are two of our very favourite things to come out of the 1980s fashion scene. 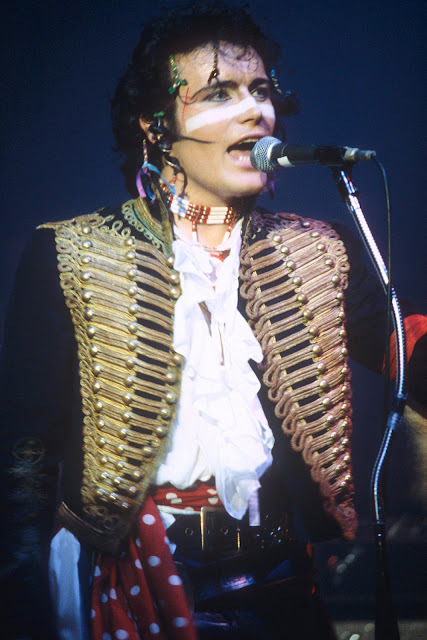 Adam Ant mixed punk, military, dandy and pirate references in fantastic effects – just look at that trophy jacket.